Lonely Planet's Pocket New York City is your passport to the most relevant, up-to-date advice on what to see and skip, and what hidden discoveries await you. Scale the Statue of Liberty; stroll Central Park; be dazzled by the bright lights of Times Square; and lose yourself in the vast Metropolitan Museum of Art (MoMA); all with your trusted travel companion. Get to the heart of the best of New York City and begin your journey now! Covers Lower Manhattan, SoHo, Chinatown, East Village & Lower East Side, Greenwich Village, Chelsea, Union Square, Midtown, Upper East Side, Upper West Side, and Central Park. 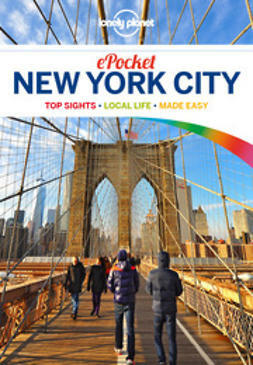 The Perfect Choice: Lonely Planet's Pocket New York City, a colorful, easy-to-use, and handy guide that literally fits in your pocket, provides on-the-go assistance for those seeking only the can't-miss experiences to maximize a quick trip experience. Looking for a comprehensive guide that recommends both popular and offbeat experiences, and extensively covers all of New York's neighborhoods? Check out Lonely Planet's New York City guide. 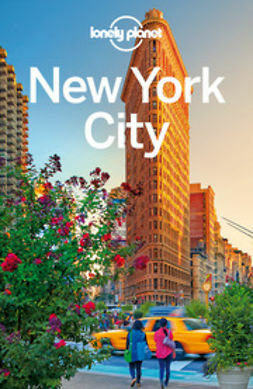 Or check out Lonely Planet's Discover New York City guide, a photo-rich guide focused on the city's most popular sights. Looking for more extensive coverage? Check out Lonely Planet's Eastern USA guide for a comprehensive look at all the region has to offer. Guggenheim Museum the High Line Times Square World Trade Center Site Museum of Modern Art MoMA Central Park New York City New York City travel guide New York city guidebook.